Clardy is the fourth Republican to throw his hat in the ring in the race to succeed retiring House Speaker Joe Straus, R-San Antonio. Straus announced in October that he did not plan to run for re-election in 2018. Texas House members traditionally select a speaker on the first day of a legislative session. The next session will begin in January 2019, unless Gov. Greg Abbott calls a special session before then. The day after Straus announced his plans to step down, Clardy told his local paper he would consider a run for the position. He enters a speaker’s race that already includes Republicans Tan Parker of Flower Mound, Phil King of Weatherford and John Zerwas of Richmond, as well as Democrat Eric Johnson of Dallas. Ahead of the next regular session, House Republicans agreed to select a speaker in their caucus and then vote as a bloc on the floor. Prior to the March 6 primaries, House Republicans pushed incumbents and candidates to sign a form promising to ultimately support the caucus pick. While Parker and King have signed the form, Zerwas and Clardy have not. 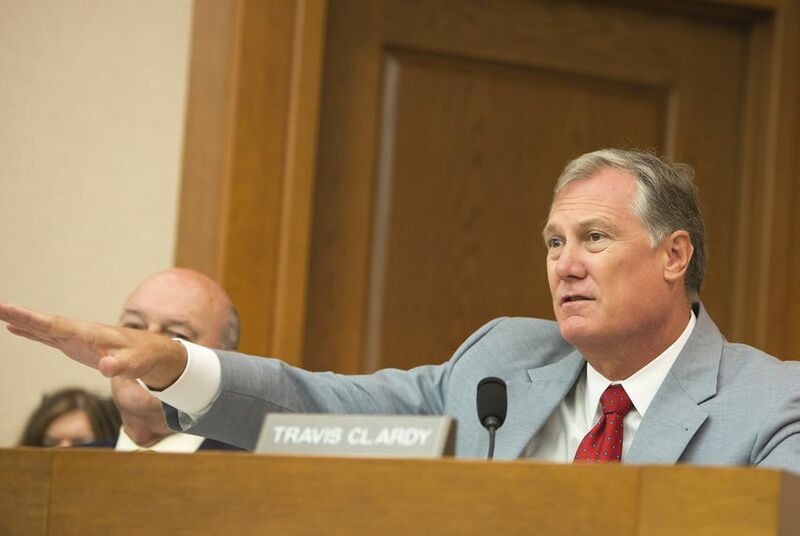 Clardy told the Tribune on Monday that he does intend to vote with his party next session on who should succeed Straus. Clardy, an attorney, is serving his third term in the House and is vice chairman of the Local and Consent Calendars Committee. He’s also a member of the House Higher Education and Energy Resources committees.